It's dismaying to hear how many people have not had a steak at the AA. Maybe you're new in town. Maybe you're coming out of a no-red-meat phase. Maybe you're just a little skittish about eating right across from the jail in a dark bar with the letters "AA" over the sign. Understandable. 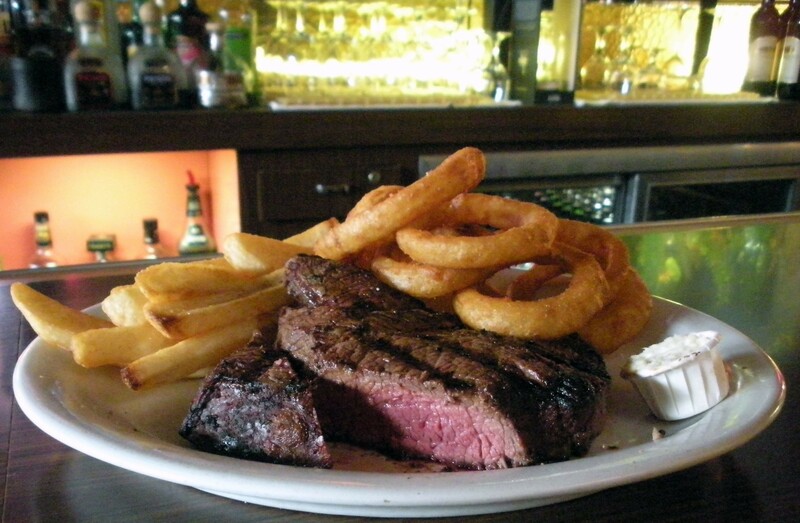 But eating a steak at "the double A," as it's known, is about cultural and culinary literacy. It's also about a serious 14-ounce sirloin steak ($21) that harkens back to the glorious tradition of just eating steak — no fancy marinade, no melange of anything — something harder and harder to find outside early episodes of Mad Men. And the steak is good. The marble, the salty, charred exterior and the deep pink meat that, shockingly, comes as you ordered it, medium-rare in this case. There will be a tiny cup of soup and a little green salad — eat them to make your mom happy. Then pick up your knife and Ron Swanson this thing. No, the rings and fries aren't homemade. But when the juice from your steak flows under them and soaks them to a cocoa red, do you really care? No. No, you do not. For it is the taste of freedom a stone's throw from the big house. 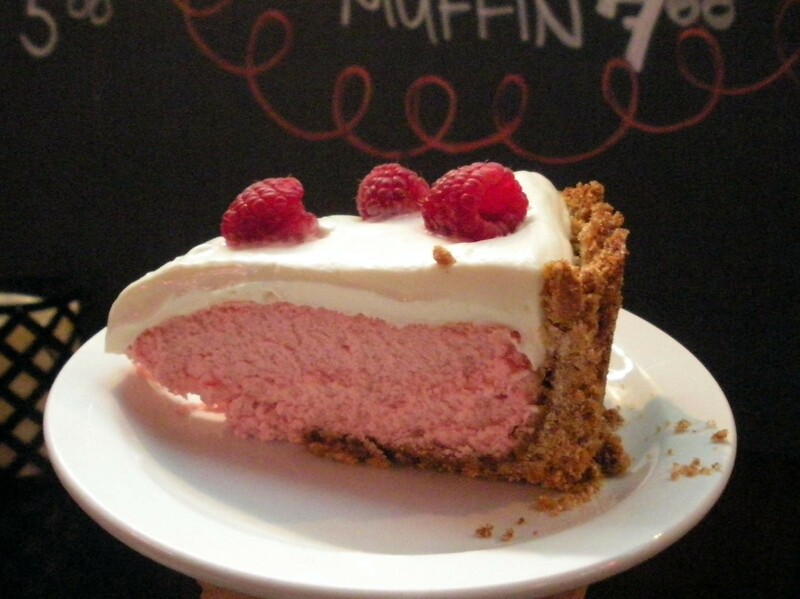 Raspberry cheesecake — share it. She'll make more. Did you just get out? Celebrate with a piece of raspberry cheesecake made by the lovely lady who served your steak ($5.50). There are other desserts, but you want the cheesecake. Jessica makes it from scratch from her grandmother's recipe (if you want a whole one, you'll have to go through her catering company, Decadent Desserts). The crust is buttery and crunchy and the filling is fluffy and dreamy. Your impulse will be to block the fork of your companion, but consider the steak you just ate. Share and live to fight another day.